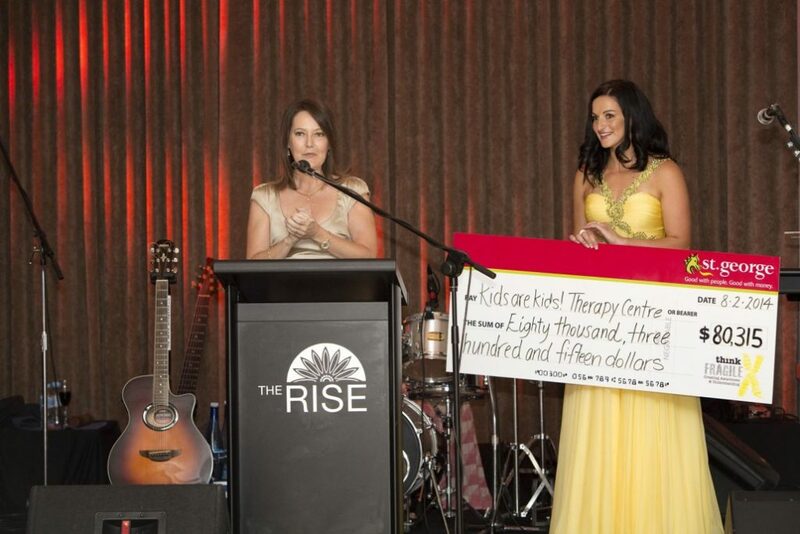 In February 2014 Maria and Luke Goss hosted the Think Fragile X Foundation Inaugural Dinner to a sellout crowd of 320 guests at The Rise Function Centre in Maylands. 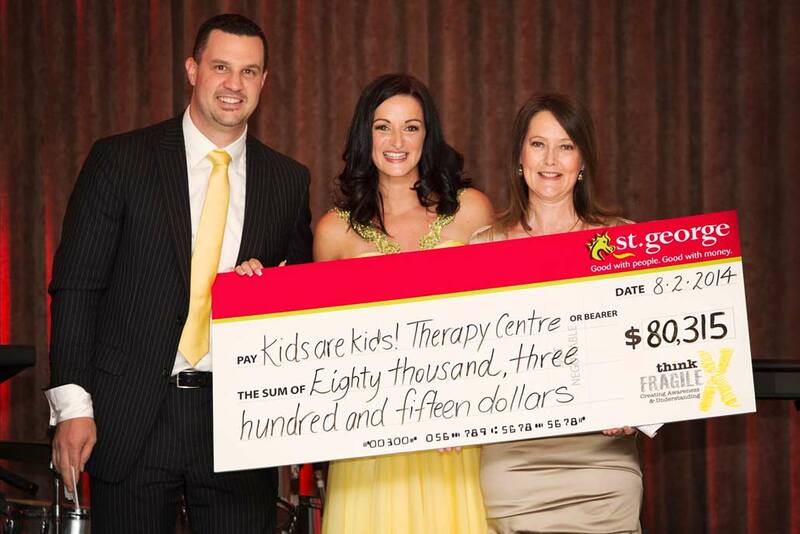 Thanks to the incredible generosity of all the guests and supporters an amazing $80,315 was raised for the Kids are Kids! Therapy and Education Centre. 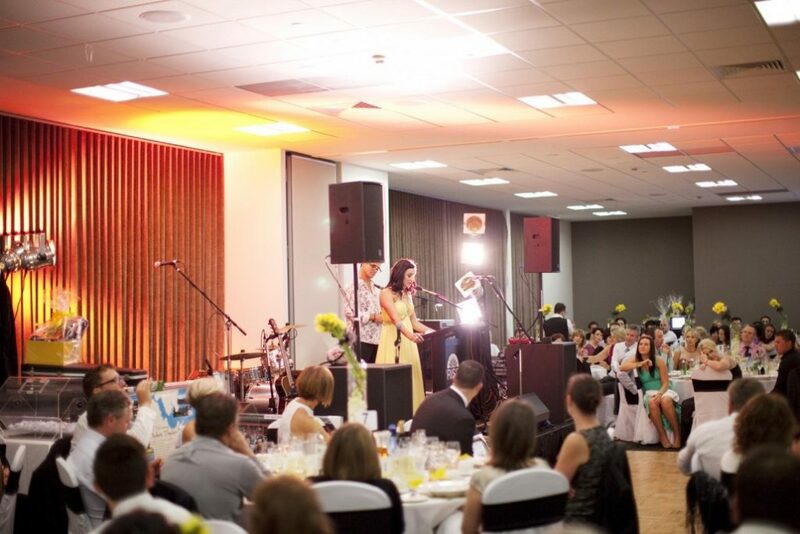 It was a very special night for all the guests and one filled with a lot emotion and love as Luke and Maria both shared their heartfelt journey to date. They described the highs and lows of living with their sons who have both been diagnosed with Fragile X Syndrome – a genetic condition which causes intellectual disability, behavioural and learning challenges, as well as physical characteristics. Tod Johnston was the MC for the night which was extra special for Luke and Maria as he was also the MC at their wedding 9 years earlier. He then entertained all the guests with his band Peace Love, getting everyone up on the dance floor. 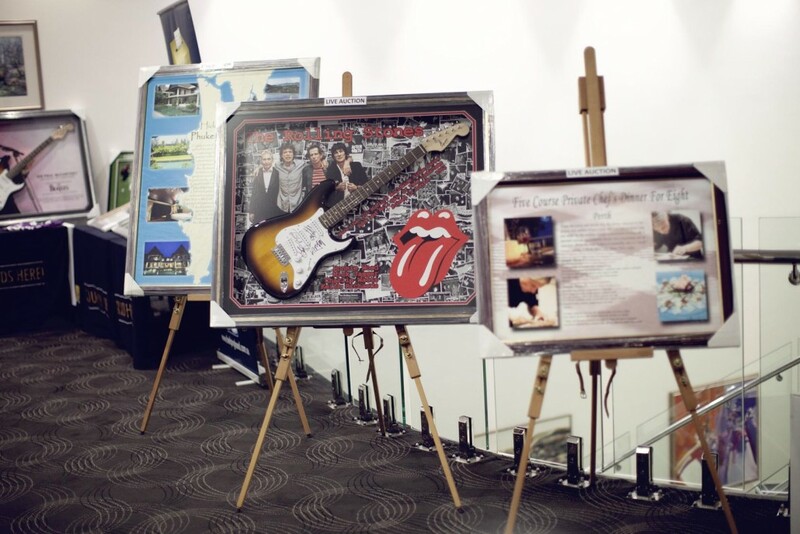 The guests enjoyed a four course meal and really got involved in bidding on all the auction items up for grabs as well as buying up big up all the raffles, especially the Singapore Airlines Major Raffle where one lucky winner won two return tickets to their favourite European Destination. All funds raised contributed to renovations to the Kids are Kids premises which established a large, dedicated and fully equipped Gross Motor Skills Room, a Parents Retreat Room which now provides a quiet and relaxing space for parents to unwind, and a new reception area making it a much more comfortable place for families to catch up and meet with their therapists. As a not for profit organisation Kids are Kids! 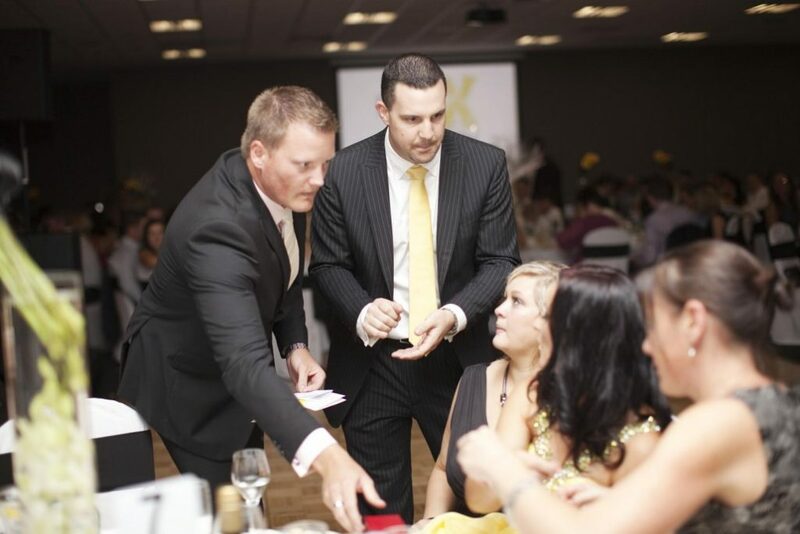 Therapy Centre rely on the support of individuals, corporates and the community to keep services affordable for families and provide valuable resources, equipment and guidance to children and their families. Kids are Kids CEO Teresa Barrie said, “It’s exciting times here at Kids Are Kids – to have these facilities for our families in such a short time is a huge accomplishment, made possible through support from The Think Fragile X Foundation”.